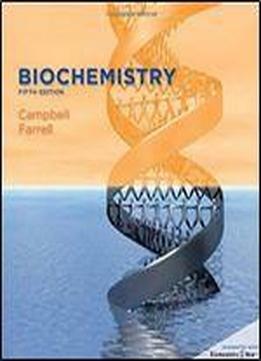 Campbell and Farrell's BIOCHEMISTRY, Fifth Edition continues to lead the way in currency, clarity, and innovation. This text has been revised to reflect the latest developments in biotechnology, genomics and proteins, while retaining its successful approach to connecting biochemistry to students' lives. Complete text/media integration through BiochemistryNow„·, a web-based tutorial resource, is also available with this edition.